This article is 1927 days old. Windsor Fire and Rescue is looking for City Council’s approval to sell off some fire trucks it no longer needs. 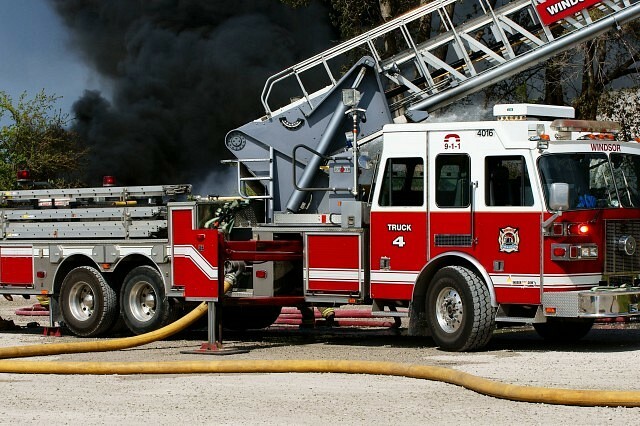 The fire service says that with the purchase of two new pumpers and four new aerial platform vehicles, several older trucks have been taken out of service. Windsor Fire has already received one offer from the original manufacture of two of the aerial platforms for $260,000. They say that this offer is higher then there estimate residual value for the both. Administration is recommending to council that the other four be advertised for sale by a bid process and sold to the highest bidder. In addition, the fire service is looking for council to grant approval for the donation of a 1993 pumper to St Clair College in support of the Pre-Service Firefighter Training Program. They say that there is no residual value for this vehicle.